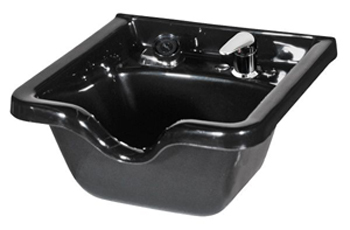 Includes: mounting bracket, 570 faucet, shampoo hose, hair strainer, drain assembly, and tail stock. Size: 19" x 20" x 9 3/4"
ANSI Z124.3 and Canadian CSA B45.0 & B45.5. Please check your City Code to see if a Vacuum Breaker is required. The optional 388-ASC Vacuum Breaker is easily added.